> I was invited to take part in this exhibition as a guest by Patricia Townsend who interviewed me for her piece 'The Other Room', which formed part of the show and featured the voices of 27 artists talking about artistic process. 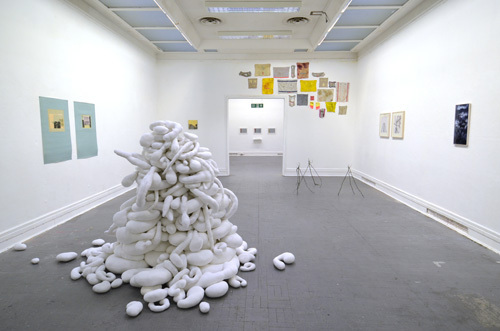 > The exhibition ended with a one-day conference on Psychoanalysis and Artistic Process where half the speakers were psychoanalysts (Valerie Sinason, Kenneth Wright, Lesley Caldwell) and the other were artists (Grayson Perry, Martin Creed and Sharon Kivland). > I made work for this show specifically. The piece is called 'Matter / Mater". Click on thumbnail at bottom of page for further details. 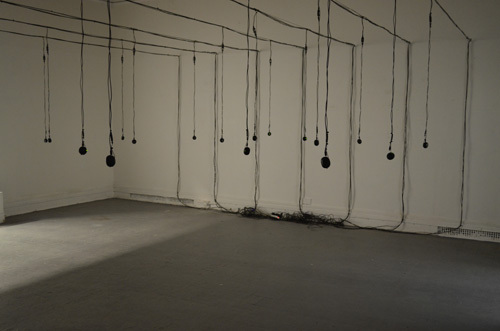 > Room 2: Sound installation by Patricia Townsend 'The Other Room'. 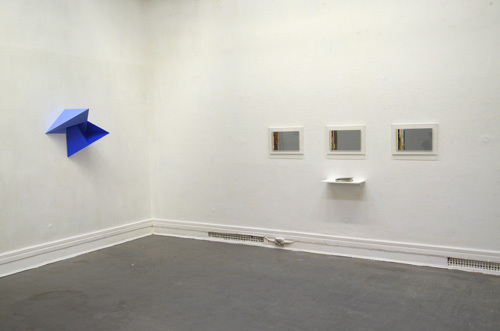 > Room 6: my work next to that of Lisa Milroy, who taught me at the Slade. 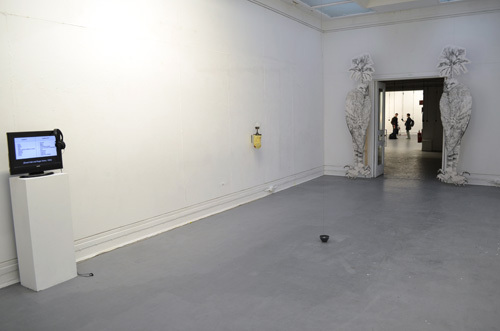 > Work on show: 'Matter / Mater' (2012). Click on thumbnail for further details. 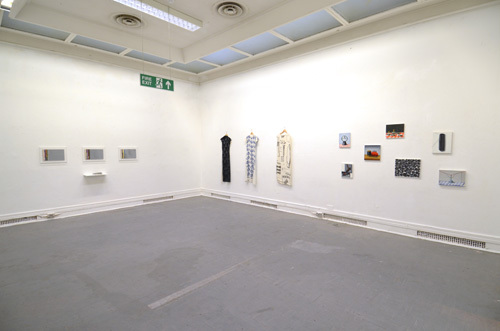 > more photos from the exhibition on facebook. Click here.